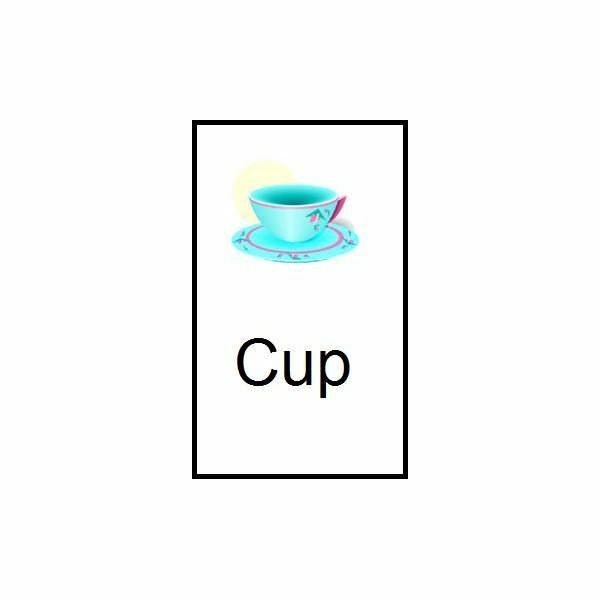 phonics, the /ʌ/ (and to a lesser extent /ə/) sound of words such as "cup," "bug," and "shut" is referred to as the short U sound. This article outlines three short U activities for preschool that use coloring, listening, worksheets, flashcards, and rhyming to increase preschoolers' phonemic awareness of the short U vowel sound. Preparation: To make a color by vowel sound printable, divide any simple coloring page into smaller sections. Write simple words with the same vowel sound in the sections that should be colored the same color. Instructions: Pass out a color by vowel sound printable to each preschooler. Allow each child to select two crayons of different colors. Explain that words with a short U sound should be colored with one color and that words with all other vowel sounds should be colored with the second crayon. Read each word out loud while pointing at the word. Repeat the short U sound after each word. For example: "Spoon. Uh. Bee. Uh. Bug. Uh." The preschoolers should have colored "spoon" and "bee" with one color and "bug" with the other. Make sure the students are clear about which word you are reading. Objective: Coloring by vowel sound will help preschoolers recognize specific vowel sounds such as the short u sound as well as lay the foundation for using phonics for teaching reading. Coloring in general also aids in the development of fine motor skills. Preparation: To make a phonics worksheet, paste pictures of words with various sounds onto a blank sheet of paper. Over half of the words should include the target sound. 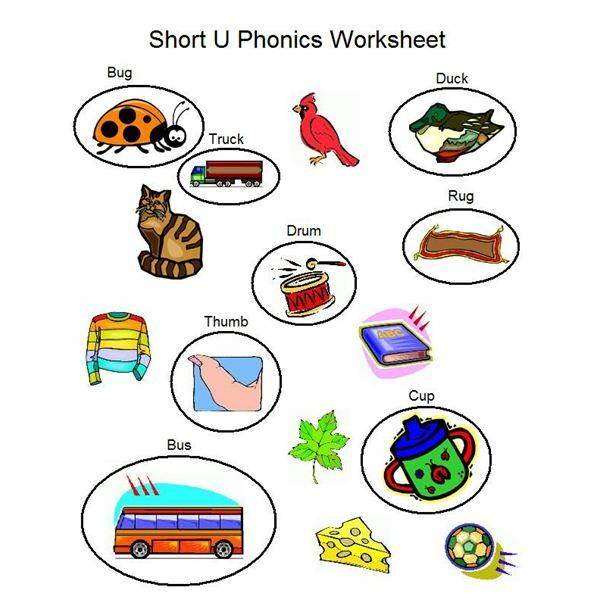 Instructions: Pass out a short U phonics worksheet to each preschool student. As a class, figure out the word or words for each picture. For example, the children should come up with the word "bug" for a picture of an insect. After the preschoolers come up with a word for a picture, ask the students if the word has a short U sound. For example, "bug" has an "uh" sound in the middle of the word but "cat" does not. 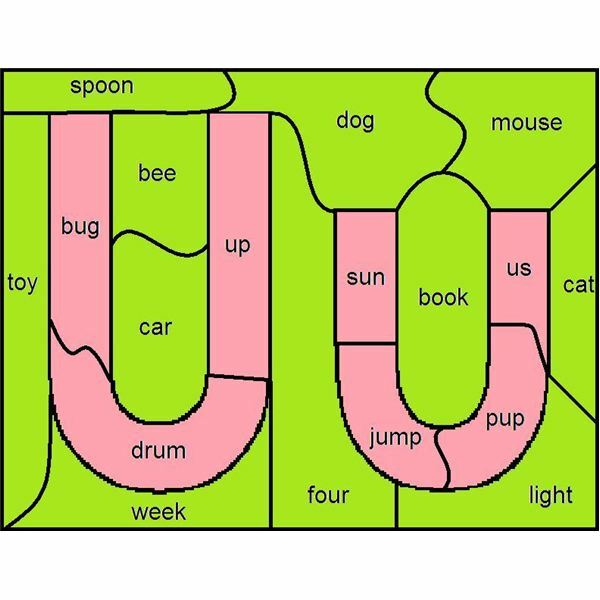 Instruct the students to circle any words that have short U sounds. The teacher should help guide the students to the target words. 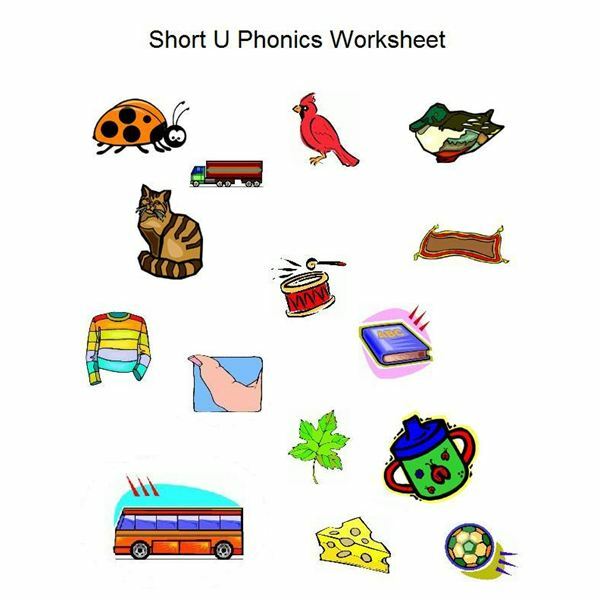 Objective: Using a phonics worksheet will strengthen the phonemic awareness of the short u sound within words as well as help preschoolers connect words with images. Preparation: To make a deck of short U flashcards, paste a picture of a word that contains a short U onto an index card. Write the word below the image. The pictures and words should be appropriate for the skill level of preschool aged children. Before beginning the activity, also explain that rhyming words are words that sound alike as in "cat" sounding like "bat." Instructions: Randomly choose the first short U flashcard, read the word aloud, and show the picture to the students. Then go through the deck of cards until the children identify the rhyming U word. 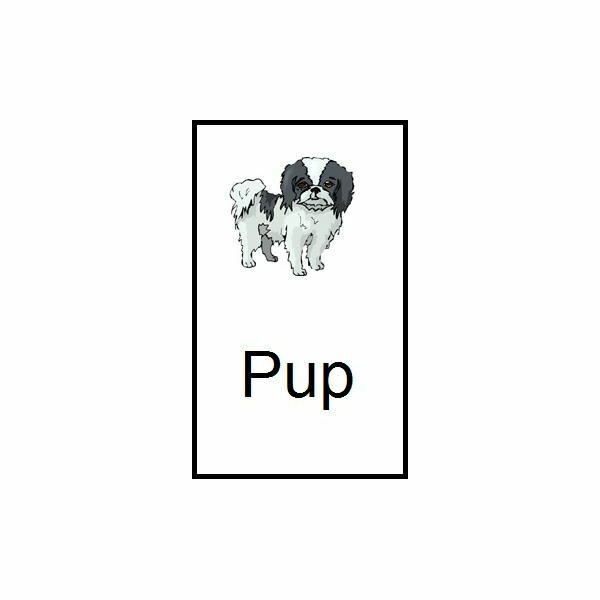 For example, if the first card is "pup," then go through the flashcards asking "Does…rhyme with pup?" or "Does…sound like pup?" until coming to the "cup" card. Preschool aged children should be able to recognize that "pup" rhymes with "cup." Objective: Using rhyming flashcards teaches preschoolers to recognize words with the short U sound that rhyme. Phonics is a method that teaches children to read and write by combining phonemic awareness with letter recognition. 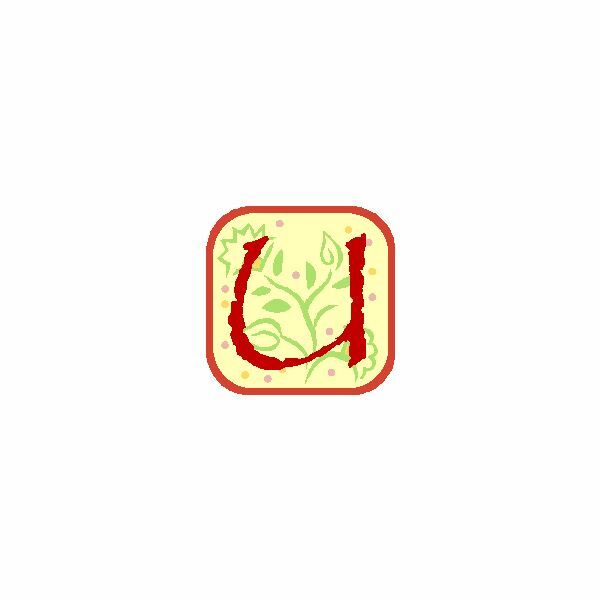 Young students will love learning about the short u sound through these three short U activities for preschool.